I wanted to share a festive card to ring in the new year. I used lots of Hero Arts stamps - Retro Frame, Skyline, a greeting from Banners & Messages, and the fun Paint Spots to act as a firework! Of course I had to add sequins. Love my sequins! But... the more I looked at the card, the more those sequins bugged me. So I tore them off. What do you think, do you like the "fireworks" better with or without sequins?? I added a bit more Stickles after I took the sequins off - I still wanted my fireworks to sparkle! Anyway... here is what I'm giving away today! Over the years I've gotten a lot of freebies from Hero Arts. These four sets I have up for grabs today are actually the sets Hero Arts made to be used during classes - they are a combination of different stamp sets in one 8" x 6" sheet. I have four of them that are extras! Leave me a comment here by midnight EST on Sunday the 5th, and I'll announce the winner on Monday! Next on the hop is Dana Joy!! Hop on over and see what she's sharing! And be sure to visit the entire list of hoppers, to check out their fab blogs and also to enter their giveaways! Love your New Year card! Thank you for hosting this blog hop. Happy New Year and many blessings in 2014. Lovely card!! Happy New Year sweets...Have a great year ahead.. Such a fun festive card Libby. Have a blessed New Year!!! Festive card. Colors are bright and beautiful. Love the sequins. Such a fabulous job! Your card is a riot! Happy 2014! Great card and thanks for the giveaway. happy New Year. Love this card...really love that skyline stamp! And I love the color combo! NICE! What a huge bloghop....it will be fun hopping to those blogs...and thanks for the chance at the giveaway! Happy New Year to you, too! Great card and products! Lovely card, Libby! Love that skyline stamp! That's one boatload of blogs to hop! Have fun! What a great card! Love the skyline and fireworks! Thanks for the chance to win those fun stamps! Hi, Libby! Love your New Year card! And, thanks for the chance to win some Hero Arts goodies - you have to know that I love Hero Arts and these stamps are so very versatile. Oh fun giveaway, I had not been to your blog and I love your designs posts, so I am a follower! Thanks for the chance to win!!! Great Card!! Happy New Year!! Also, can you update my link to http://bethpingry.com - thanks!! FABULOUS card, it's a beauty! Happy New Year! I love your fun card! Especially the way you made it look like fireworks, very cool! Happy New Year!! Super fun card. Happy New Year! LOVE your card! SOOOO beautiful! The colors are amazing! Thanks for a chance to win as well! Happy New Year!!! I am now an official follower of your blog. That is one reason this hop is SO incredible. I have been able to see all this TERRIFIC talent. I am so grateful that you all did this. THANK YOU!!! Love your New Year card! Very CUTE!! Great blog hop. Like your card, the fireworks are clever. What a fun card. I love the skyline you stamped. Happy New Year to you! Love your cards! Thanks for participating in this huge blog hop with such a generous giveaway! I've got my fingers crossed. Happy New Year! I love the card. It really shows the fireworks going off at midnight. thanks for the idea. and thanks for the giveaway. Some great stamps are included. Love the card. Thanks for the chance to win. Happy 2014. Very cute, Libby! I love the colors! The Blog Hop is a wonderful idea. Your New Years card is so darn creative, I love it thank you for sharing it. Your giveaway is awesome and thank you for the chance to win. WOW...thanks for our opportunity we all thank you!!! Wonderful to see you here Libby - and what a great give away. Great card. I think I like it better without the sequins - though I do love a good bit of bling. Happy New Year and thank you for the chance to win your fantastic giveaway. Such fun cards! Happy 2014! I love following you. You provide a lot of inspiration. Hope you have a happy new year. Thank you for a chance to win. Those are both amazing cards. I think I like the sequins the best. Thanks for the giveaway. Thanks for the super prize chance. Happy New Year! Great New Year card as I like CAS style I like the card without the sequins! Very festive New Year's card. I like it without the sequins. Thanks for sharing..Love the stamps. I like the card with the sequins. Love Hero Arts stamps and I thank you for a chance to win these! Love your card with the skyline and fireworks, very festive. Love Hero Art stamps. Thanks for a chance to win and Happy New Year. Happy New Year, Thanks for the opportunity to win such lovely prizes. 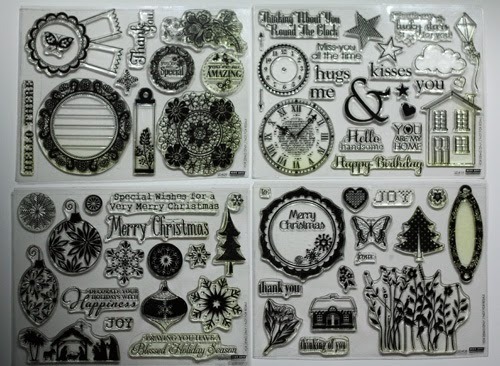 Love the inspiration, want to learn more about stamping--this would sure help! Love your card (better w/o sequins)! Wonderful new years card...like it without the sequins. Wishing you a healthy and happy New Year! jeandonny2000 at hotmail dot com. Oh my, Clever you to use the paint spots stamp for fireworks.. giggling here.. clever card!!! 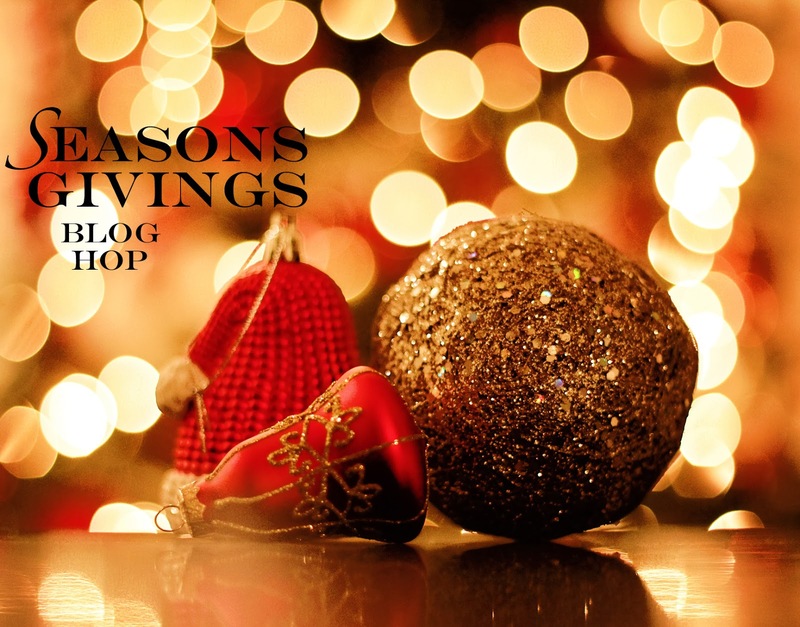 Thanks for your generosity in offering up such wonderful blog giveaways as well as your continued inspiration! FUN FUN hop and Festive card! Thanks for the chance to win! I love your work. You are so talented!!!! I like the fireworks without the sequence. Thanks for the chance to win. Beautiful card. Like it better without the sequins. Thanks for the chance to win. Love the fireworks. I think the sequins worked too. Happy New Year to you and your family. Love it Libby! Happy new year! Hi Libby! Great New Year's card; I actually liked the sequins, but it is a fun card either way! Happy New Year! Love love love your card! Great idea. I'm going to become your follower, there are too many lovely cards on your blog!!!! Your card is beautiful! I love the way you used the stickles. I actually like the sequins. New to your blog via the blog hop. Thanks for a chance to win some goodies. Have a happy, healthy and blessed new year! Beautiful card. Thanks for a chance to win. Have to say my preference was with the sequins, totally loved the little grouping. Loving the sequins, I think those little things add so much!!! Have a creative new year!! What a great card! I love the colors. Happy 2014! Here is hoping you can craft as much as you want! Hey Libby. Happy New Year. Love your card. Thanks for all the lovely goodies you have for us to win. Hugs!!! That's an awesome card!!! Thanks for the chance....Happy New Year! Gorgeous card, Libby! This is like the best way ever to start off a new year! Thanks for being a part of my 2014! I like bling so I say leave the sequins on! Either way, have a terrific New Year. Great Hero Arts Stamps for the giveaway. Thanks for a chance to win them. Fabulous give away. Thank you. How I so love you're card just the way it is. Just lovely. Thank you for a chance at you're generous give away. I could only be so lucky to win. Happy New Year! I'm glad you took the sequins off, they looked like a flower to me. I think the fireworks look much better without the sequins. It is a fabulous card. I love the color combo. Wow! I love your New Years scene with the fireworks! Love the colors with the turquoise and hot pink, too! Thanks for the chance to win! Happy new year. Great prize. Thanks. Thanks for the giveaway. This blog hop is insane. Love the card. Love your fireworks card..with and without the sequins! I like the card without the sequins better! Thanks for the chance to win the Hero Arts stamps. I love stamps! Happy New Year - thanks for participating in the hop!! Happy New Year Libby! Love your card! I actually like the one where you added the extra stickles the best. Thanks for sharing and for a chance to win some fabulous prizes. May you be blessed with good health and happiness in 2014. Happy New Year!! Great prize package! It's been so much fun hopping through all the blogs. Thanks for sharing!! You are all such talented ladies!!! Oh, and I like your card better without the sequins! What a fun card and a great collection of stamps, thank you for the chance to win them. I think I agree with you and like the Stickles for sparkle on your card. :D Thanks for a fabulous giveaway. Hi, I do like how the 2nd card turned out, but both of them look good. So I can´t make my mind LOL. TY for the opportunity. I like those stamp sets! Thanks for sharing Libby! Fabulous card! Happy New Year and thanks for the chance to win a great prize! I agree..without sequins..the card holds itself. Loved my visit with you today! Your items are fantastic! Great card! And, I do like the sequins!!!! It makes the burst a little more fun :) Thanks for offering such a great prize. Happy New Year! Great New Year card! Thanks for offering such a fun giveaway! HAPPY NEW YEAR! Whoever receives the card will be happy that you thought of them so with or without the sequins, it is a winner. Ha ha...love the evolution of your card and yes, I do love it better without the sequins too! Here's to more crafty inspirations in 2014 and thanks for the awesome giveaway! Lovely and shiny New Year card! Love the sweet colors. Great prize pack from your side, thank you for the chance and have a great year! 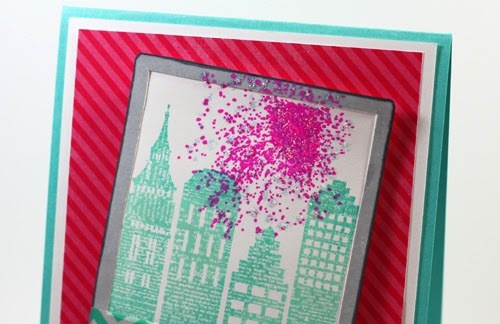 your card is a ton of fun...love the sequins and glitter and I have really been wanting a city skyline or city set myself. Your stamp giveaways are gorgeous....crossing my fingers and wishing you all Happy New Year! Thank you for a wonderful hop!!!! Happy New Year, may this be better than the last. 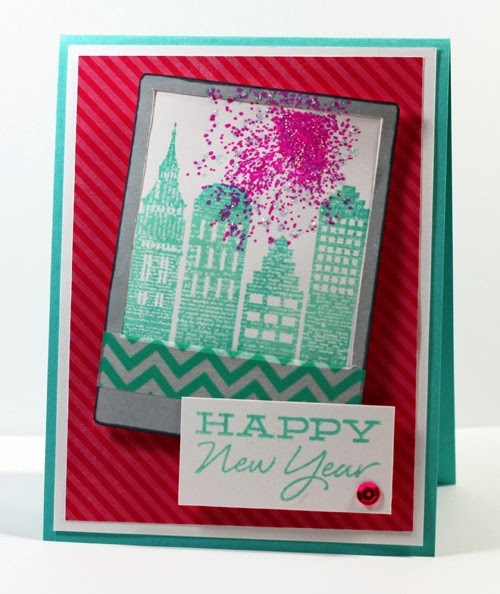 Love your card, the skyline, the colors, the fireworks like the sequins better myself. New follower! I look forward to learning from you. Love the Hero Arts stamp sets! TFS and the wonderful & gorgeous stamps giveaway. Beautiful work. Happy New Year. Thanks for the opportunity to win. Happy New Year to you too! Love the card very creative! Happy New Year! I too love sequins but prefer the sticklers to the sequins on this card. Thank you for the opportunity to win the goodies. Wishing you all the best in 2014. Such a FUN and COOL card! :) Happy New Year! I loved the sequins but then I think I loved the stickles better! Such a fun card! Happy New Year! Cute, cute card! I like it better without sequins though! Thanks for the chance to win the wonderful stamp sets. Love the bling 'explosion' on your card Libby. This is one wonderful blog hop! I like sequins on card, but to be honest I prefer the fireworks without them. I think it looks better. Great card! Thanks for sharing your New Year's card. I think I like it without the sequins. But, the sequins make it look like one of the fireworks we used to get that spun around and shot out sparks. Thanks for the opportunity to win some great stamp sets. I would LOVE to win those special sets of stamps! Fun to have such variety! I like the fireworks over the city line! I like the fireworks with the sequins. :) Enjoyed visiting your blog - thanks for the chance to win! I see you do love your sequins! But boy you sure make them work for ya. great cards, the ones I looked at. Lovely card - better without the sequins. Fabulous card Libby...thanks for the chance to win!! I love the color combo and the overall design of your card! I agree with you! I love sequins, but I think taking them off worked for this design. Thanks so much for sharing and for the chance to win! Love this card, Libby. The City scape is so cook and the sparkly fireworks are just perfect! Great card! Love your fireworks! Thanks for being part of such an amazing hop! Happy New Year! Happy New Year and I love your fireworks card. I think your fireworks card is amazing! Love how you made them! Although I love sequins, I think I like the non-sequin version of this card better. Thank you for the chance to win! What a lovely card...love it! Thanks for the giveaway and Happy New Year! Your card is so pretty, and I think I like it without the sequins, it gives the fireworks a chance to sparkle on their own. Thanks for the great giveaway! I love sequins but I actually think I like it better without. But such a fun card! Thanks for the chance to win!! your card is fantastic! I love the firework! Fabulous card! What a fun way to make fireworks! I don't know which I like best..I love sequins, but it looks great both ways! Awesome card and thanks for the chance to win!! I like your fireworks both ways! Happy New Year! I agree, without sequins is better! LOVE this fun card and love your giveaway! Happy 2014 to you! 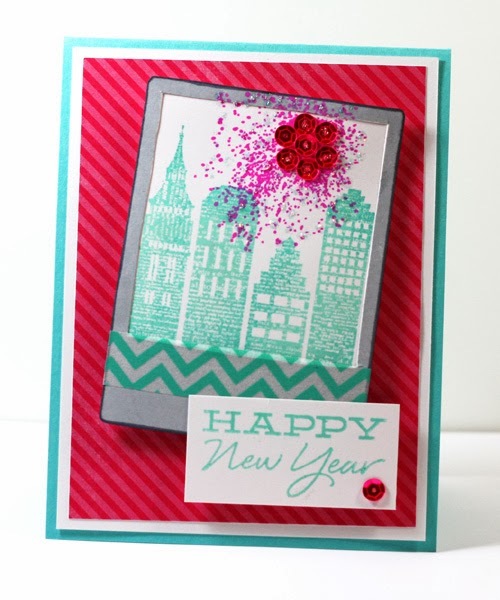 What a festive and colorful card...perfect for New Years!!! How lovely of you to offer up such wonderful blog candy. Those sets are fantastic!! Thank you for the chance to win!! Happy New Year! I love the effect of the fireworks and I like it with the sequins. Thank you for a fun blog hop! I love your New Year's Day card without the sequins but it was great with them, also. Love Hero Arts! Thanks for the chance and I like it without the sequins too...but Stickles were a good choice! Love how you made the fireworks - very cool! Thanks for the inspiration and chance to win! Hey Libby!!! Well I love the pink fireworks!!! And wishing you a very Happy New Year!! Even though I love sequins as well, I think when you followed you heart and removed them from you card, you did the right thing :) Love the firework! Thanks for the great giveaway! I love the fireworks and buildings. I think I like the sequined version best. I do like the idea of putting fireworks on your card. I think I like it better without the sequins. Looks more realistic. Anyway, good inspiration to try new things. Love your site and your prizes. Thanks for your participation. Love, love, love this!! Oh what fun I am having jumping from blog to blog! Thank you for the opportunity to participate. I love the Texas card. Fabulous and fun blog hop! Thanks for your giveaway! Brilliant idea for fireworks! Thank you for your fabulous giveaway! Love your card! Better without sequins ;) TFS! Love the fireworks! Pure genius! Thanks for a chance to win! Love your card! Works either way. The best is what makes you happy when you are creating. Thanks for the chance to win! Love the fireworks on your card!! Thanks for the chance to win you giveaway!! Happy new year to you too! I love the fireworks sans sequins the best but they're all very cool! Love your card Libby. Stopping by to wish you Happy New Year!